We’re celebrating 79 years of “Making Friends and Memories” with our biggest vacation Sweepstakes giveaway! Register for a chance to win a trip to Cragun’s Resort in Brainerd MN. No purchase necessary. Winners announce here each week on our Cragun’s Resort Blog. Want to double your chances? Send us a favorite memory from your trip to Cragun’s for a chance to win some great prizes! 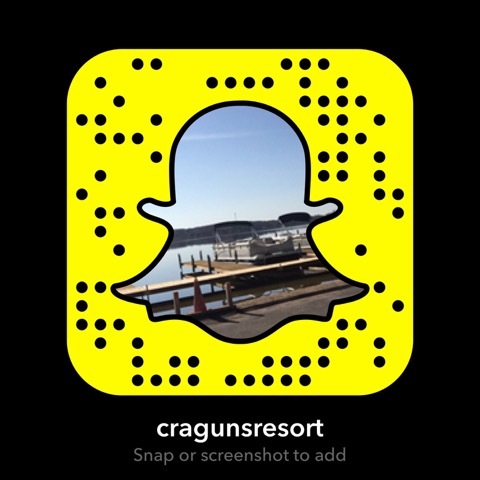 Click here to share one of your fun memories from Cragun’s Resort! You and all your friends can vote on your favorites. The entries with the most votes wins! This week’s lucky sweepstakes winner is Jackie of Graceville, MN. 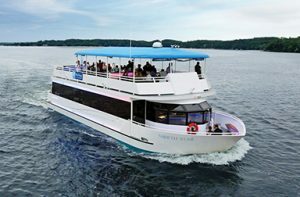 Jackie will be enjoying a three day, two night Super Saver Package at Cragun’s with more lodging choices than any of the other Minnesota Resorts. Friday starts with a Welcome Party and dinner buffet with entertainment. There’s family activities on Saturday plus our HUGE indoor pool, sauna, whirlpools, Sports Centre and more! Have a great time at Cragun’s – one of the best Minnesota Resorts on Gull Lake. This week’s lucky sweepstakes winner is Tammy of Owatonna, MN. Tammy will be enjoying a two day, one night 5-Star Legacy Golf Package at Cragun’s with more lodging choices than any of the other Minnesota Resorts. Golf Digest ranked the Dutch Legacy 5-Stars and says “Superb…golf at its absolute best…Pay any price to play at least once in your life.” Have a great time at Cragun’s – one of the best Minnesota Resorts on Gull Lake. This week’s lucky sweepstakes winner is Kim of West Saint Paul, MN. Kim will be enjoying a three day, two night “Easter Weekend Package” at Cragun’s with more lodging choices than any of the other Minnesota Resorts. Friday starts with a “Welcome Party,” dinner buffet and family bingo. Weekend activities include a bonfire and marshmallow roasting, horse drawn trolley rides, karaoke in the Bear Trap Lounge, swimming in our HUGE indoor pool and more. Package also includes Cragun’s delicious breakfast buffet on Saturday morning plus a Sunday Easter breakfast buffet and photos with the Easter Bunny. Have a great time at Cragun’s – one of the best Minnesota Resorts on Gull Lake. Carolyn of Centerville, MN will be enjoying a three day, two night “Spring Break Weekend Package” at Cragun’s with more lodging choices than any of the other Minnesota Resorts. Take pleasure in a weekend of family activities including fun in our HUGE indoor pool. Our Spring Break Weekend Package includes Cragun’s delicious breakfast buffet on Saturday and Sunday morning. Have a great time at Cragun’s – one of the best Minnesota Resorts on Gull Lake. Sue of Medford, MN will be enjoying a three day, two night “Spring Break Weekend Package” at Cragun’s with more lodging choices than any of the other Minnesota Resorts. Take pleasure in a weekend of family activities including fun in our HUGE indoor pool. Our Spring Break Weekend Package includes Cragun’s delicious breakfast buffet on Saturday and Sunday morning. Have a great time at Cragun’s – one of the best Minnesota Resorts on Gull Lake. This week’s lucky sweepstakes winner is Matt of Ramsey, MN. Matt will be enjoying a three day, two night “Winter Fun Fest Weekend Package” at Cragun’s with more lodging choices than any of the other Minnesota Resorts. This package starts with a Friday night “Welcome Reception” and dinner buffet. There’s evening family entertainment such as DJ and karaoke in the Bear Trap Lounge. Enjoy lots of outdoor recreations including discounted downhill lift tickets at Ski Gull Recreation Area, X-C skiing, snowshoeing, ice fishing, ice skating, broomball, snowmobiling, Cragun’s SnoMo Centre with sled and clothing rentals and more! Have a great time at Cragun’s Matt – one of the best Minnesota Resorts on Gull Lake.